ads086 had the most liked content! The way they’re going they should switch to a pay-per-ride model, that’s how baby parks tend to work best IMO. Their real estate agent maybe? 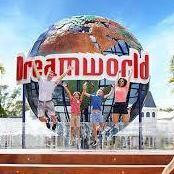 If Dreamworld were to hit the market, do you think Village would buy it? Just for the larger parcel of land with better proximity to public transport even? Thanks for the info guys. All suggestions are basically what I was expecting to hear. I probably will end up visiting Universal - I’m staying at the Holiday Inn opposite on my non-Disney nights. Hi All, I decided that for my 33rd birthday I'd take myself to Disneyworld. Then in my searching discovered that my birthday falls on Memorial Day long weekend, so decided to go just prior to that, and then visit Disneyland Paris for my actual birthday. My 60 days in advance Fast Pass Reservation date is fast approaching, and having never been to Disney World before, I'm interested to hear what previous visitors to the parks would recommend as selections for the initial 3 fast passes for each park. For those interested in the itinerary, I arrive in Orlando the day before I'm booked at Disney, so I intend to do hotel check-in and head straight for the park. Magic Kingdom is open until 11pm that night for hotel guests, so that's my day 1 park. Day 2 I'm thinking Animal Kingdom, Day 3 at Epcot, Day 4 is Hollywood Studios. Day 5 and 6 are open at this stage. I haven't bought Park Hopper and will add the upgrade on for those last 2 days if I feel the need to hit up more than one park per day, but that's a play it by ear decision. I'm staying at Pop Century, and secretly hoping the Skyliner will be running by the last half of May. I then have two more nights in Orlando before I fly out again. Am considering Universal tickets, but nothing confirmed for those days yet. I've been to DLP before, so am pretty set for how to handle that one. So, what would you be selecting for your first three fast passes for each park? I really would like to see a Freestyle installed in this country. I think they need to decide if they want to be fully immersive like Universal attractions are, or if they want to hold onto the Movie Studio identity and let it look like a sound stage. The thing I’ve found that enthusiasts tend to love about woodies is the rickety nature of the support structure. Given the current climate that doesn’t sound ideal from a PR perspective. Id like to see a California Screaming style ride - steel track on a trussed support giving it the Older style appearance, particularly if the board walk goes ahead. Maybe Village can pick up Dreamworld and use it as a car park, then build a monorail or use buses to shuttle people to the park. They can then expand into their current car park at Movieworld. Disneyland Paris - Tip and Tricks? Head to Studios first. Grab a fast pass for Ratatouille during the early hours then line up for Crush’s Coaster. Standby queues for Tower and Rock’n are usually pretty quick. Once in Disneyland Park grab your fast pass for Big Thunder (best version in the world IMO) then go ride Space Mountain as long as standby isn’t too long. Most everything else has reasonable lines. Earl of Sandwich is my pick for breakfast at Disney Village, or McDonalds has some tasty options. Make sure you’re in Disneyland park for the castle projection/fireworks show too! What if you duplicated the stations? You could place a rotating or sliding track section leading from each station into the subway tunnels, and the same after the trims at the end. I can’t see you ever getting 4 trains running then, but you could definitely get 3. My tip for DCA is to head for Cars and grab a fast pass as the first thing you do. We missed fast pass on it the day I went and the standby queue was well over an hour, and that's at its shortest. We had a meal reservation for 4pm which then scored us a private viewing area for World of Color. Definitely the way to go. Be sure you wear comfortable walking shoes to the parks too. The Incredicoaster is loads of fun, be sure to get a go on it. I felt Soarin' wasn't worth the amount of time we had to queue for it. Indiana Jones at Disneyland was the must-do attraction but it was up and down all day the day I was there. I would recommend a fast pass on that as soon as you arrive. Also, find a wait-times app for your phone, and bring a power bank with you. I haven't been to Universal so I have no tips - I do hear the VIP is worth the cash just for the front-of-line though.